Badminton Wales are fully committed to engaging with the BWF Shuttle Time initiative having developed the ten week course at Sport Wales National Centre Cardiff. Badminton Wales are now aiming to roll out the initiative nationwide. Our short term aim is to make Shuttle Time available to children throughout Wales, we are ensuring all coaches and teachers are fully qualified to deliver the Teacher and Tutor courses by working under the guidance of Badminton Europe and the BWF. In September 2018 Shuttle Time Wales introduced the new Shuttle Time Wales Passport book. The Passport book is designed to track the progress of the Shuttle Time players. 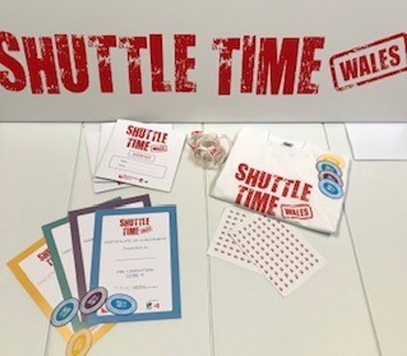 When a Shuttle Time player affiliates to Badminton Wales they receive a Shuttle Time t-shirt and the Shuttle Time passport book. The Passport book is divided into four levels. Each skill within the Passport book has a description of the skills. 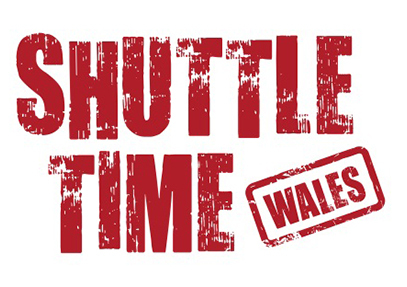 When a player can complete the skill competently, they will receive a Shuttle Time Wales sticker. Once a level is complete, they can contact the National Shuttle Time Coordinator in order to purchase their Level certificate and iron on badge. 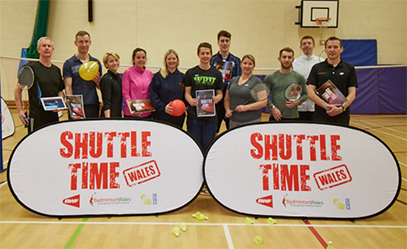 Badminton Wales are offering all Primary and Secondary schools, Leisure Centres and Clubs in Wales the opportunity to be Shuttle Time trained by undergoing a course at no cost and delivered by Badminton Wales. The Shuttle Time program is an online lead program with over 90 video clips of all the exercises and over 20 weeks of session plans. The course will guide teachers and provide them with the knowledge to deliver the Shuttle Time sessions. To book a place on the course or if you require any further information, please do not hesitate in contacting Angela Stevens at Badminton Wales. For an overview of the Shuttle Time initiative please click here.